The new Massachusetts marijuana law, M.G.L. Ch 94C §32L – 32N, has decriminalized medical marijuana use and recreational use. But, whether you call it marijuana, pot or weed under the federal Controlled Substances Act (CSA), the cultivation, distribution, and possession of marijuana is still prohibited except for federally approved research. Massachusetta now exempts qualified users of medical marijuana and recreational use by individuals over the age of 21 from prosecution under state law. In Massachusetts persons who have gone to special marijuana medical clinic. Once they obtain a Medical Marijuana card are able to go to buy a thirty day supply (up to ten ounces.) Many doctors will not become involved in the process due to the federal law. People needing the drug must go to one of the several specialized clinics in the state. No formal prescription is required. Marijuana is not covered by health insurance at this time. The state maintains a registry of legally qualified users. Oddly, there doe not seem to be any prohibition of a person who has obtained marijuana for medical purposes to turn around and to gift up to one ounce of the substance to a non medically needy person. Gifting more then one ounce is a criminal act. They can’t ”sell” it but they seem to be able to give it way. For recreational users the Massachusetts marijuana law authorizes the creation of retail outlets (to be know as “Cannabis Cafes”) where recreational users will be able to purchase substance in various forms. 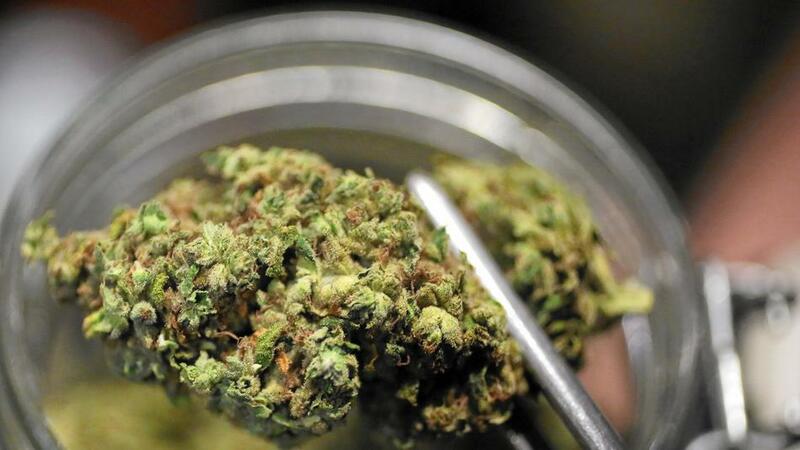 Eventually, Massachusetts marijuana will be sold at retail sales outlets like Colorado. But, for the moment the legislature has decided to study the matter and has delayed implementation of the law until July of 2018. People who are over 21 years without a Medical Marijuana card can possess up to an ounce of marijuana outside of their home. They currently have no way to legally purchase it. Comm. v. Keefner , 461 Mass. 507 (2012.) If they are found to have between one and two ounces the police may issue a $100 fine and confiscate the amount in excess of one ounce. Possession of more then two ounces is a criminal offense. Inside of their home a person may possess up to ten ounces for personal use. If it is determined it is being held for sale without a license it will be a criminal offense. All public consumption of marijuana is prohibited. Local ordinances may regulate where smoking may occur. Persons under 21 cannot buy marijuana. It is a criminal offense for a person to sell it to them. However, if someone under 21 possesses a small amount of marijuana they can be fined up to $100. Person under 18 will be required to take a “drug awareness” class. Only the possession of marijuana has be legalized. Sale of non medical marijuana is still illegal. Opiates, cocaine, heroin and many other drugs are still controlled substances under M.G.L. Ch.94C. The marijuana law makes no changes. They are still serious offenses and fall into several categories. Simple Possession – If you are convicted of possession (even for a small amount) you can be sentenced to long probationary terms with drug screens, fines and jail time. With regard to heroin even being in the presence of the drug is considered a crime. Possession With Intent To Distribute – Distribution will be charged when a person is charged when a person is caught with larger amounts of drugs, drug paraphernalia, a scale (for measuring) and large amounts of cash. Trafficking – Trafficking in very large amounts of cocaine or heroin is a felony offense where you can face up to twenty years in prison. The penalites increase as the amount of substance found on the person increases. School Zone Violations – If you are convicted of possession or distribution of a controlled substance in Massachusetts while inside or a school zone the penalties for the offense will be increased. This post is not meant to be a substitute for specific legal advice given by a competent attorney who is familiar with the Massachusetts Controlled Substances laws and the facts of your specific case. If you, or a loved one, are currently facing prosecution for an drug related offense you should discussed this matter with your attorney before proceeding any further. For further information about securing legal representation and your rights please contact our office immediately.